Payment options : MasterCard and Visa. Customer support : Telephone and email. Welcome to LottosOnline! The next platform in our top lotteries online review series. 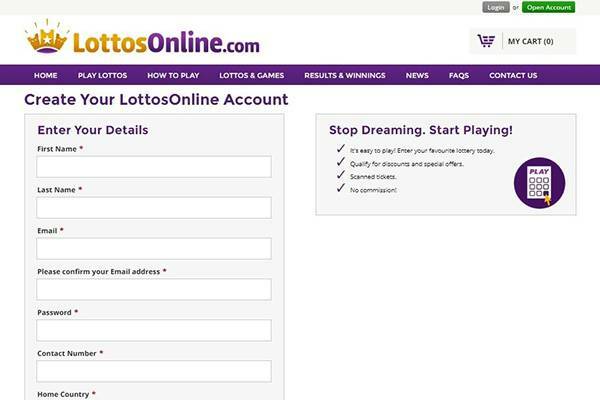 First of all, Lottosonline.com site focus solely on online lottery tickets. You will not find any fun side games or any other type of distraction: 100% online lotteries. The platform belongs to Marvical Limited company, based in Cyprus and running the business since 2014. While they are not holding any licensed from any regulatory body, they provide a high level of security for your data and transactions. Furthermore, this is one of the platforms that can provide scans for all the tickets you buy. Bringing up to the comfort of your home 13 online lotteries from around the world you will be able to take a part in the biggest jackpots draws. Most noteworthy, you will find US PowerBall, Mega Millions and SuperEnaLotto, three of the biggest jackpot lotteries of the moment. 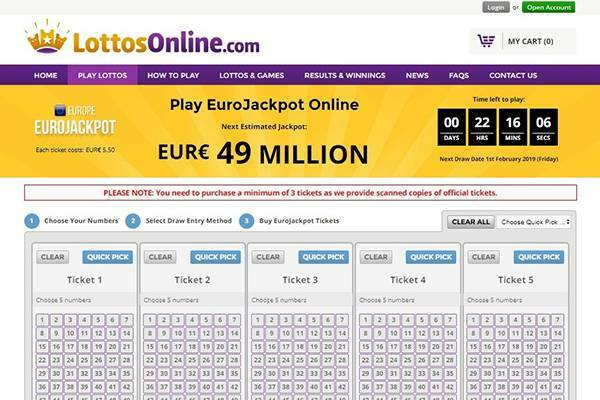 Read all our LottosOnline review and get all the relevant information you might need before choosing your number. At top10bestonlinelotto.com we review the main aspects of each platform taking into account the same features. Consequently, you will be able to make a good comparison between each platform. Level of data & transactions encryption. Also we checked the regulatory compliance of each brand. What are the lotteries available at the website? Can you buy syndicate lottery tickets? Furthermore, we review side games available at each site. What languages are available at the site? How is the website design and how the enhanced the user experienced? We check what are the devices and operative systems you can use in order to navigate and buy tickets. Desktop, tablet and smartphones reviewed. Welcome bonuses, promotions, offers and discounts. What is the site offering to its customers? In addition, VIP programs are review. How you can contact the customer support department? How fast they answer to open tickets? LottosOnline.com is using the secure internet protocol HTTPS. Furthermore, all the data and transactions are secured by SLL encryption (provided by Norton Secured one of the top internet security companies). In addition, the site is scan regularly to be clean of malware and to check any vulnerability breaching. While the site is not licensed by any governmental gambling commission, we must acknowledge that they are an independent ticket seller. This means they only are an intermediary between the customer and the official lottery organizations. 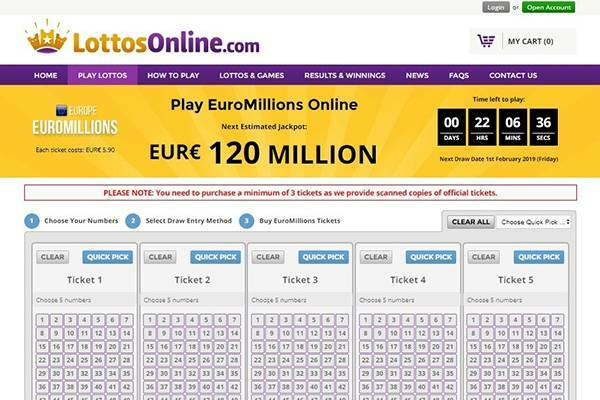 Lottosonline might not have the biggest online lottery offer, but still they deliver the biggest ones. 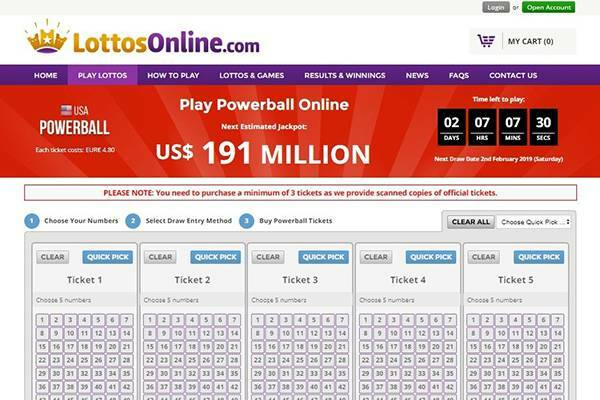 You will be able to buy online tickets for this lottery draws: US PowerBall, Mega Millions, SuperEnaLotto, EuroJackpot, EuroMillions, Australia PowerBall, El Gordo, UK Lottery, Australia Saturday Lotto, Irish Lotto, La Primitiva, BonoLoto and Oz Lotto. Yet, syndicate lottery buying is not at your disposal. Since this is a very popular mode at the online lotteries world we think they need to add the group ticket buying option. In addition, no side games are offered at the Lottosonline website. Probably they want to focus only on online lotteries. LottosOnline.com is only available in English. While we understand is the most used language worldwide, we think that offering more languages will just open the online lottery platform to a biggest public. The site design is really nice, showing the main lotteries with the time remaining to the next draw and the jackpot available for each one. In addition, the navigation is simple and the flow is straightforward. The steps needed since you open your account until you buy your ticket are minimal. Consequently, this will be very pleasant for users that know what they want and want to get it fast. LottosOnline is built in a responsive template. In consequence, you will be able to play from any device you might have. Desktop, tablet and smartphones will get each one a different view of the same site. The template will automatically fit your size screen. LottosOnline.com can be use both from PC’s or Mac computers. All the functionalities will be available for you with the biggest screen size. When the site identifies you are navigating from a table, no matter if Android or iOS powered, it will serve you a view for your screen size. While we always prefer desktop view, you will be able to complete all the steps to buy your online lottery ticket with your tablet. Smartphones (iPhones, Android and Windows Phones operative systems) will get a site view in accordance with your screen site. While we usually navigate and search using our mobile devices, since the screen size is less comfortable for playing you might find it a little annoying. 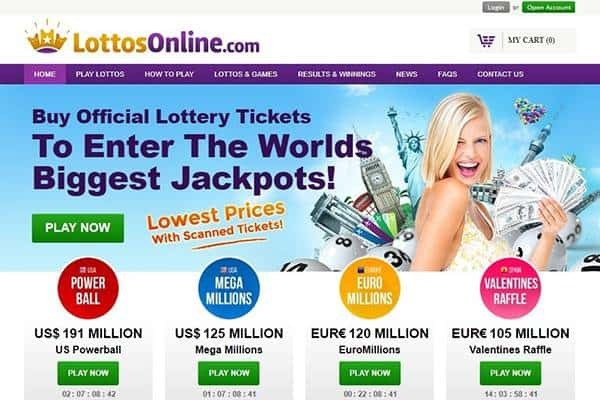 Lottosonline is not currently offering any welcome bonus for new players or promotions for existing customers. Yet, you will be able to be a part of the VIP Rewards Program. In order to take part of it you will need to spend €50 or more during a 30 day period. Once you are a VIP user you will be entitle to a 10% cashback on all your ticket purchases. While checking the platform, when you chose your numbers or during your payment transaction some questions or issues might rise. That’s why Lottosonline bring up to you different channels to contact their customer support department. In addition, the operations hours of the customer support team are: From Monday to Friday, 10am to 5pm EET (GMT +2). Due to the nice design and the great user experience we think that LottosOnline has a great place in our online lotteries reviews list. First of all, the lotteries offered at the site include the most important and popular ones. While we have find biggest lists, we can say for sure they are offering a very interesting lotteries list. Regarding the payment methods, we think there is a big space for improvement. Offering only credit cards is not good enough for an internet platform. E-wallets are really missing here. Furthermore, syndicate lottery tickets are also a great lack. In conclusion, we give to LottosOnline lottery platform a rating of 4 over 5. Thumbs up for a very well design platform! Is Lottosonline a scam? Seems like we all ask this question before we make any online transaction. While the site is not licensed by any governmental gaming commission, it have very high security standards. First of all, the site is on HTTPS protocol. In second place, all the data transference is SSL encrypted by Norton. In addition, the site is frequently scan for malware and security breach detection. Finally, the site scans your ticket and send it you. 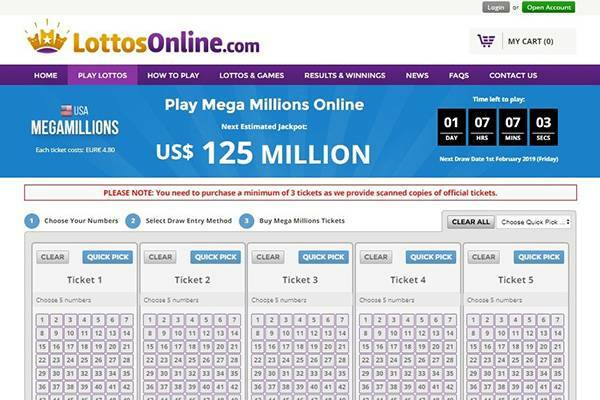 In conclusion, we think that you can trust LottosOnline platform as a secure and legit online business.